There are some more of those unusually cheap airfares available from Toronto to Manila, Philippines on Air China for $676 CAD roundtrip including taxes. The flights involve departing from Toronto's YTZ airport (Billy Bishop), with a stop in Montreal and Beijing each way. For longer trips, try mixing and matching the departure and return dates from the list above. toronto, yyz, flight deals, southeast asia, philippines, mnl, air china and ytz. 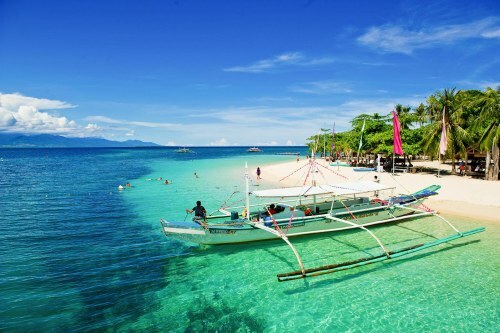 7 Responses to "Toronto to Manila, Philippines - $676 CAD roundtrip including taxes"
Trusted in a sense of finding a ticket and referral to the site to buy tickets yes. And they refer you to a reputable ticket seller, no problem there. But when comes to guaranteed price I sometimes find that it shows different price (of course lower) than the final site where tickets are purchased-so from that point of view- not really. Momondo is just a meta-search engine, which means they search many different booking sites, and then send you to one of them to make the actual booking. Ultimately, Momondo has no impact at all on your booking. The only thing that matters is the quality of the booking site that you end up at. You can try looking at the Airfare Booking Site Power Rankings article on this site, to get an idea of the quality of the booking site and an opinion. Incidentally, Momondo was just purchased by Kayak for about $500 million. They are more well known in Europe than here in North America, but that might change now. Interestingly they are still not coordinated, just searched and the same booking site has two different prices for a flight through each of the search engines (Momondo vs. Kayak). The Kayak purchase of Momondo was just last week. I'm sure it will be a while before there are any major changes to Momondo's search engine, if any are planned.